Ten years ago, I embarked on the trip that would change my life. It was 2004, and I was trying to convince a friend to visit the Galápagos Islands the following January. He wasn’t sold on the idea and suggested Thailand instead. Since I didn’t care where we went so long as we went somewhere, I agreed. I just wanted to escape the winter. So in January 2005, we set off on our two-week trip. If you had told before me that trip that I was going to come home, quit my job, and travel the world, I would have thought you were crazy. I was finishing an MBA and looking for a job in renewable energy. Travel was awesome, but me? A world traveler? Never. Yet here I am 10 years later as exactly that. Anniversaries have a strange way of making you nostalgic and reflective, and, as this one approached, I couldn’t help but reflect on that trip. There is a lot I remember from it: getting scammed by a tuk tuk driver, trying street food for the first time, and staying in my first cheap guesthouse. I can recall in vivid detail how Bangkok’s Khao San Road was lined with missing person posters and donation jars related to the Boxing Day tsunami (it had happened two weeks prior to our arrival). The sense of pain in the air was so palpable. And I remember the conversation with five backpackers in Chiang Mai that led to me turning to my friend a few days later and saying “I’m going to quit my job to travel the world.” I remember walking into Ko Samui’s English-language bookstore to buy Lonely Planet’s Southeast Asia on a Shoestring right after, pouring over it and taking notes even before I knew what I was doing. But the one thing I can’t remember: the why. Time has caused the reason I decided to quit my job to fade from memory. If you ask me now, I’ll say it had to do with being jealous of those backpackers, a sense of restlessness, and an overwhelming desire to travel. But, truthfully, I don’t know exactly. Most of the decisions I make in my life — good or bad — are done on impulse and without thinking. All I remember was the feeling that I had to do it. Something just snapped. But, 10 years later, the why is no longer important to me. When I quit my job, I thought it was going to be temporary, but what I didn’t know then — and what I learned later — was that the travel bug only gets worse, and the more traveling I did, the less likely it was I’d go back to my former life. 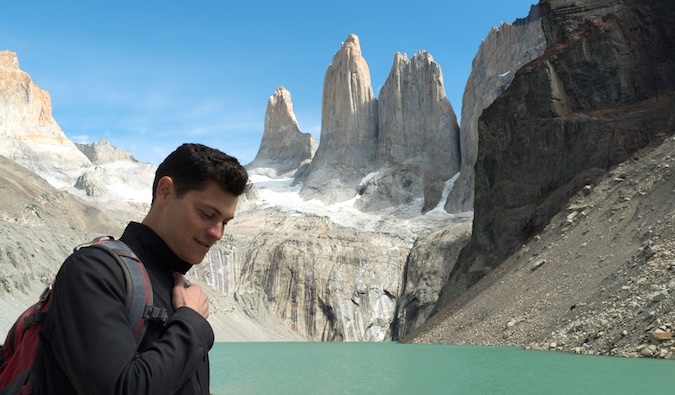 It’s not easy to take the leap, quit your job, and travel the world — even for just a few months. There’s a lot of unknowns about a trip and no matter how much of a desire we have, it’s often hard to get past that fear. 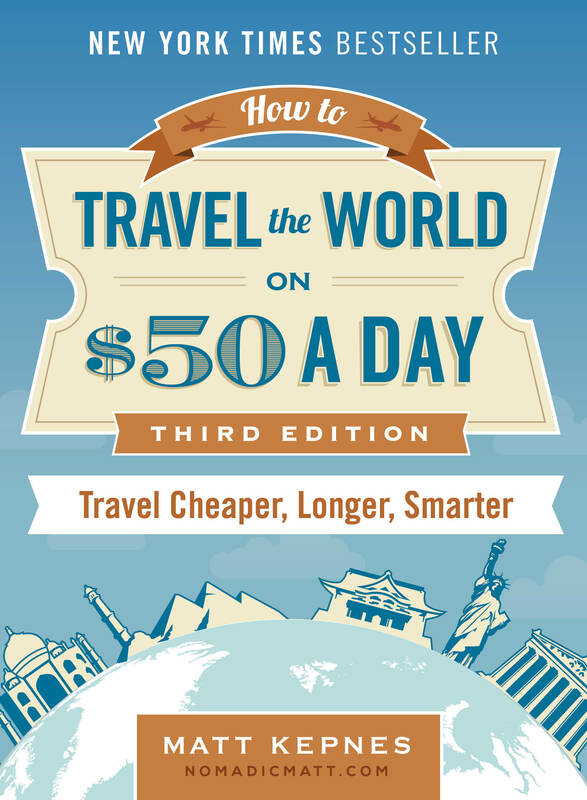 I had no idea how I was going to afford my trip, if I’d be able to do it, or what to expect. But I refused to turn back. I’ve never met someone who regretted their decision to travel. Everyone is appreciative of what travel has taught them, even those who came home early after realizing what they learned was that they didn’t like travel. While I may never remember my train of thought on that day, I never second-guess my choice. If there’s any lesson I draw from that day 10 years ago, it’s that you never regret doing what makes you happy. Sometimes our gut instinct is right. There have been mistakes along the way. There always will be. Nothing works out perfectly. But regret nothing. Whenever I think “Should I do this?” I remember my decision to travel and realize nothing is ever lost by trying. If you fail, you not only end up back where you started — but with the knowledge you tried. In 2015, don’t worry what others say. Travel more. Start a garden. Quit your job to become an actor. Finally take those Spanish lessons you’ve wanted. Go with your gut. Take a leap and do what makes you happy. We each have a finite time on Earth. There’s no sense in wasting it. 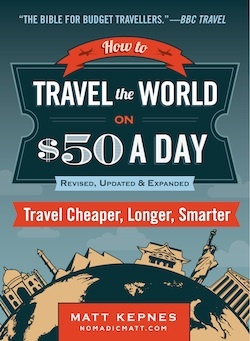 On Tuesday, I released the new edition of my book How to Travel the World on $50 a Day, with over 100 new pages of content featuring tips and advice I’ve never discussed anywhere on this blog. As a special accompaniment to the release, I’m giving away up to $1,800 in free travel books, flights, accommodation, language courses, guides, shirts, and more!!! I’m super pumped about this book’s release and excited to be able to give away so many cool products with it. You can click here to find out more about the book and get your free extras! Thanks Matt, I enjoyed this. Nearly all of my best decisions have been impulsive and sometimes a bit irrational. I still tend to worry over the (seemingly) big life/travel/chasing my dream choices, but you’re right – nothing is lost by trying. And even when things do turn out badly, you still end up with an interesting story to tell. Happy travel-versary! wow 10 years of traveling. That’s a milestone! Congrats and congrats on the book. You’re right, the more you travel the harder it is to go back. My parents didn’t travel much but just visited me in India and it’s fun to watch how the travel bug is now growing for them. My dad is now saying how interested he is in going to x,y,z and I’ve been sharing my love of travel with them for 5 years and they were “meh” about it – until they took the leap and did it themselves! I recently found your website and I couldn’t have found it at a better time! You are such an inspiration! I myself am currently stuck in a rut, and have the travel bug bad ever since I visited Iceland! I’ve been unhappy for a while now, but feeling optimistic about my future thanks to you! Traveling the world has always been my dream, and I need to make this happen in 2015! The fear of quitting my job and not having enough money had always held me back. Reading your articles has given me hope and motivation. I’m getting your book ASAP!! Happy Anniversary and a very Happy New Year! You are truly an inspiration for the rest of us who are just starting to travel the world. I have been doing this for 1 year and I could totally relate to the part where the answer to why I chose what I chose is totally blurry and not important because the outcome of that impulsive in-a-moment decision is fantastic. Living a comfortable life behind a secured desk job alongwith a happy family is definitely good but leaving all this and getting out there to see the world and learning from it is AWESOME and nothing beats the joy that comes from travelling to a new place every single time. Look foward to reading more of your stories in the upcoming years and all the best for your future endeavours. Safe travels. Love and light. Thailand has that effect, I was there for work 11 years ago and it changed my life and perceptions about travel. A few years later, I decided to take time off to travel. I remember when people thought I was crazy for leaving my job and moving to Europe. 8 years later, I’m back to work but will never regret those 18 months exploring Europe! I cannot recommend it enough. Thanks for being a source of inspiration. 7 months ago, my partner and I quit our jobs to travel. We have 5-6 more months on the horizon but feel a sort of dilemma coming on. We don’t really want to go back to our regular lives and professions, but we’re not sure if we have aspirations to monetize a blog and work on the road. I guess we’ll wait and see what happens! Oh man, I have the sudden impulse to quit my job and grad school and jet the hell out of here. I live in Boston and it’s so cold, gray, and miserable. I’m always afraid of the things tying me here like being a stable adult (pushing on 30 here). But the more I look at it, the more reason I see to take a leap and never look back: I’m not married, I don’t have kids, and my lease is ending soon. It really takes bravery to follow our guts. Hey Matt! What a great post. I’m sure those 10 years flew by on you too! Do you think there’s such thing as “away-sickness?” You hear people talking about home sickness as the reason for ending a trip, but what about the feeling you have when you get back and feel sick to your stomach over staying in one place? Whatever that is, I think I have it. And I plan to embrace it this year. Thanks for an extra dose of inspiration! Congratulations on your travel anniversary. I visit your site occasionally for good travel recommendations. The only caveat with this post is regarding making most decisions impulsively on a gut feeling without thinking things through or having some sort of a plan. This approach maybe fine for innocuous decisions such as traveling and it seems to have worked just fine for you in your life. However, for most people and other areas of life it’s a bad approach to life. Thinking things through and having plans and goals, but staying flexible enough to change is a much better approach. Congrats on your book release Matt! For me it’s about 45 months of travel. I knew why; I wanted to free me and now I wish to free my audience. Either way though the most important thing was you deciding to run with it. You chose to travel the world and kept on traveling even though it was a severe departure from your current life at the time. Bravo dude! Keep on inspiring and keep on globe-trotting my friend. This article was awesome! My wife and I are both going to start traveling this summer. 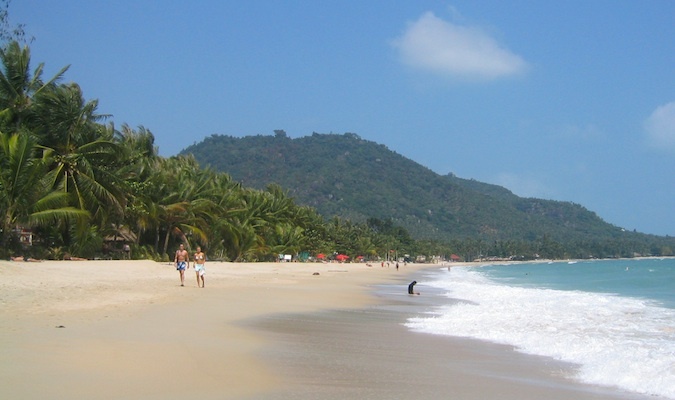 We are going to be starting in Thailand and we Chiang Mai is definitely on our loose itinerary. Mostly we’ll be working through South East Asia to begin with which seems to be a pretty common jumping off point to long term travel. I love these types of articles because they really help to motivate us among the midst of naysayers. I was surprised at how many friends and family are completely opposed to the idea when we presented it to them. Hope you have a lot of fun on the next 10 years! Happy travels mate! Congrats Matt!!! I know many people who dream t of spending a life like this but there are not many who have the guts of leaving behind a great and of course secured future to be a ‘world traveler’. We truly have little time in hand and there is no reason wasting it. Congratulations once again and hope that you can follow your passion for years to come. Thanks for the post Matt! Sometimes the why of doing something is simply a gut feeling that it’s the right thing to do. Currently, I’m taking a year or two off of school to bike across South America and hopefully start blogging about it consistently. I love writing and traveling, but the reason that I decided on South America is still unclear to me. It just feels right! What about a celebration in Thailand? Bet it’s flown past though. I think traveling is a weird sort of contradiction feeling wise, at least for me. In a way I’m looking to take life slow and really enjoy it, relax and that, but traveling and moving around, it actually seems to fly past so much quicker! Anyway, all the best, here’s to another healthy 10! I was running my family business but I was not happy to do that. I always liked the idea to travel all over the world but to become a full time traveler was not easy. I had to finance my trip besides help my family financially. So I took the idea to join a travel company and help people to travel all around the word. Today I don’t regret my decision as I’m happily organizing trips and traveling in group. Happy anniversary! You’re such an inspiration! One thing I’ve learned from traveling is that things always work out…no matter where you are. They don’t always work out exactly as you planned, but they work in the end somehow.